Woodwork By Stan Our furniture is handcrafted -- one at a time -- in our Elk River, Minn., workshop. Our furniture is handcrafted -- one at a time -- in our Elk River, Minn., workshop. 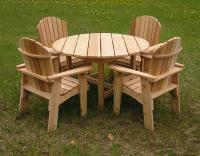 It's Spring, and there's no better way to celebrate than ordering cedar or redwood Adirondack furniture. Give us a call -- 763-241-9643 -- or e-mail us to arrange a sit test in our Elk River workshop. Our cedar Adirondack Chairs feature a sculpted seat and a curved back with that just-right comfortable slant for maximum comfort! Check 'em out here! 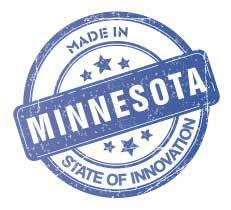 Then call us -- 763-241-9643 -- to schedule a sit test in our Elk River, MN workshop. This table measures 39 1/2" x 72". The benches measure 11" x 36". You can have a custom-built table, too. 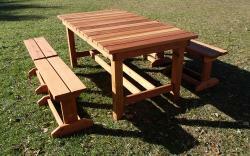 Check out our awesome redwood collection here and order yours today! You can have your name -- or your significant other's name, your business name or anything you want -- professionally carved into your chairs. See more photos. The cost? Only $25 per carving. Click Image to Enlarge Garden Chairs: Sit up straight! 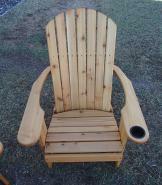 The Garden Chair combines the comfort of the Adirondack Chair with the practicality of a dining chair. It's easier to get in and out. Check out all of our Garden Furniture -- chairs, tables, love seats and gliders -- here! 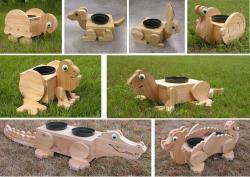 These flower planters are cute as a bug ... ah, well, a frog, a snail, a turtle, a lizard, a puppy, a cat, a bunny, an alligator, even a dragon. Take a closer look by clicking here!